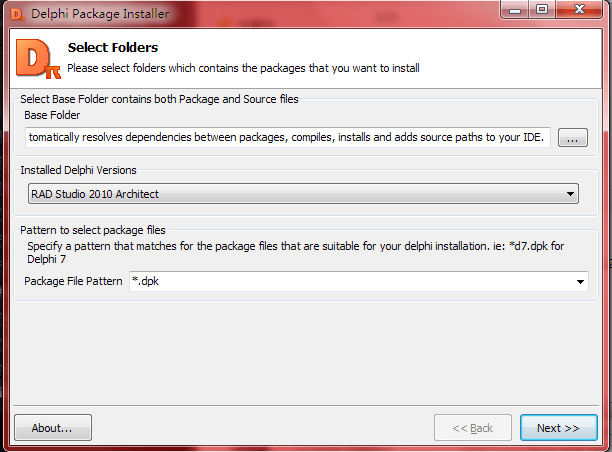 Delphi Package Installer (DelphiPI) is a tool which aids you installing components to your Delphi IDE. DelphiPI automatically resolves dependencies between packages, compiles, installs and adds source paths to your IDE. You can take a look at changes in previous versions, screenshots or read how to use instructions. If you encounter any bugs or malfunctioning please fill an issue or drop me an e-mail.